While we offer several RTR models using the Slot.It sourced Porsche 956/962 body in several color schemes, you can easily convert an older Slot.It Porsche model to a higher level of performance provided by the TSR chassis. 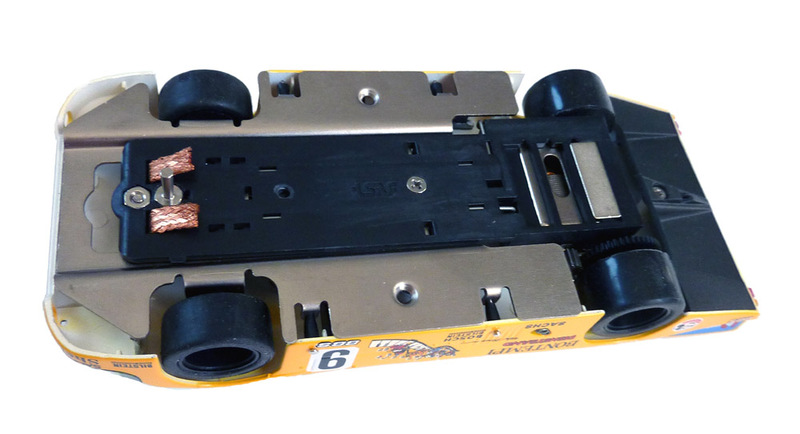 Mounting the body is a simple experience when using the exclusive TSR Automatic Mounting Body tool. 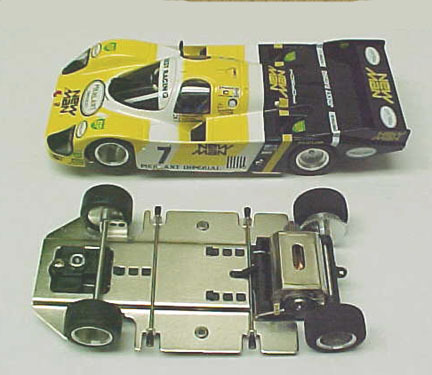 To mount another Slot It Porsche 956 body is easy using the T2307 Automatic Body Mounting Tool. The body or chassis need no alteration. 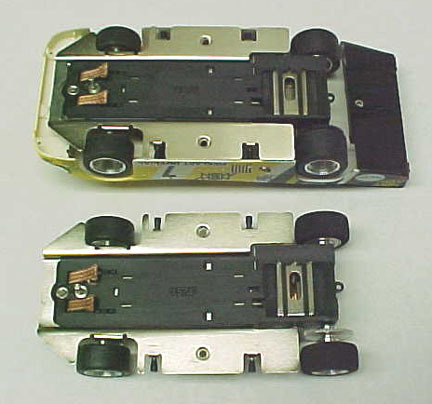 The chassis is set in position “A” (most backwards) and the front axle in position “3” (most forward). The pin tubing are shortened by 1/16″ with the Dremel disk, then installed on the chassis (see pictures below). The body has little vertical ridges where the front plastic tubing stops bump, perfectly locating the body. Use the Automatic Body-Mounting Tool and a # 73 drill fitted at the end of an X-Acto handle. 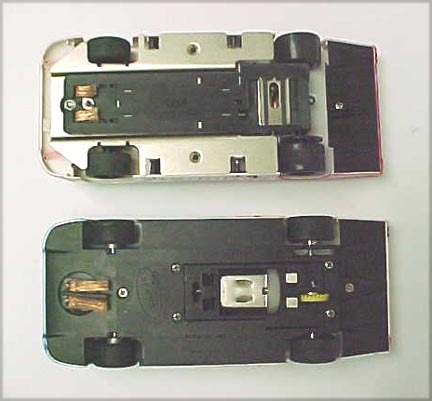 This pictures shows the stock Slot.It Porsche (below) with the TSR version on top. Note that part of the Slot.It chassis was trimmed to provide the aero under-tray bolted back to the body. 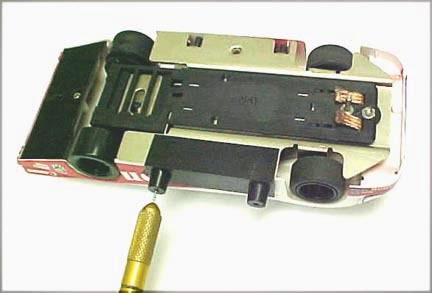 This shows the chassis setup: steel pan in position “A”, front axle in position “3”, body-mounting pin tubing and stops in place. 4 straight pins and it’s done. The chassis bottom shows the fitment of the TSC25 guide pin in its most effective position.